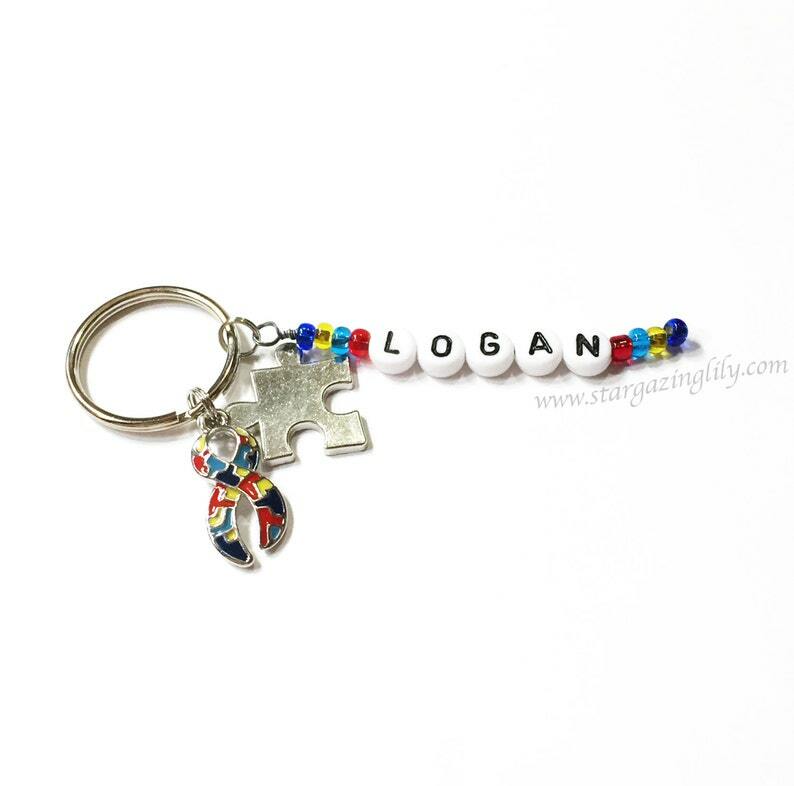 New Personalized Autism Awareness Ribbon Charm accessory by Stargazinglily. You can choose to have this piece made as a bookmark, zipper pull, key ring, mini lanyard, or put on a lobster claw clasp. These are great for kids ID's on their zipper. And make a great key ring or tote charm to help raise awareness. It will come personalized and with the 2 charms pictured. An autism Awareness enameled ribbon and puzzle piece. NEW to our collection is a whole line of Awarness Ribbon bracelet to help raise awareness for the cause dearest to your heart. ORDER INFO: For quickest turn around of your order be sure to include the personalization desired in the"notes" box at checkout. Tree of Life Keyring Key Chain or Zipper Pull. This was my second order from this shop, same exact item actually, and I am not disappointed. I love the way that it comes packaged and just my luck that the little bag it comes in was blue this time and it was for a guy. Absolutely love the products from this store! I hope that a family friend will enjoy this for her daughter is Autistic. I saw this keychain and absolutely fell in love with it! Thank you!!! !